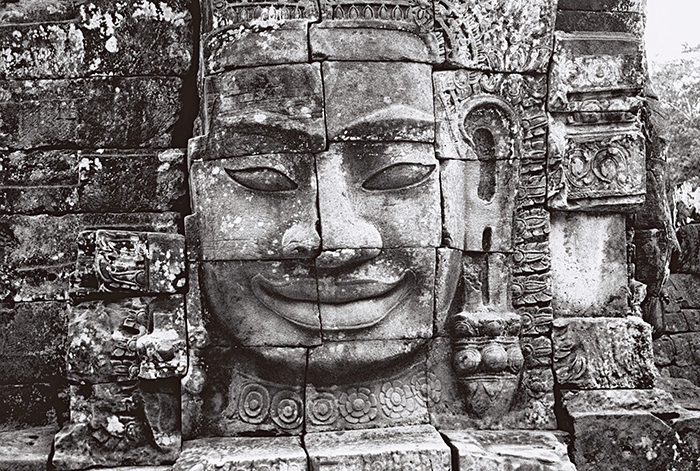 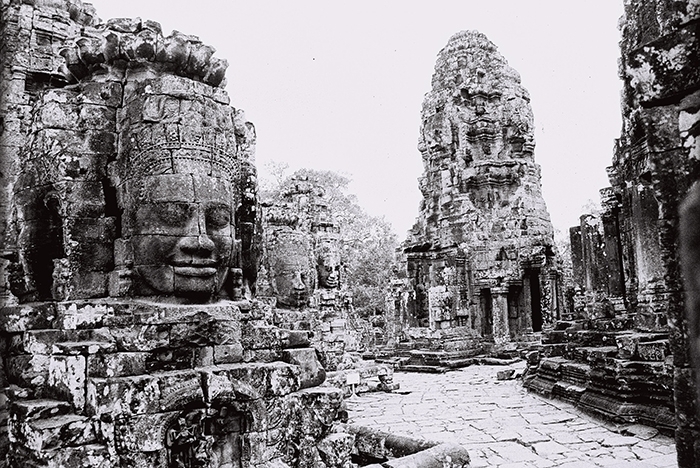 The giant faces of Bayon in Angkor Thom, Cambodia are sacred. 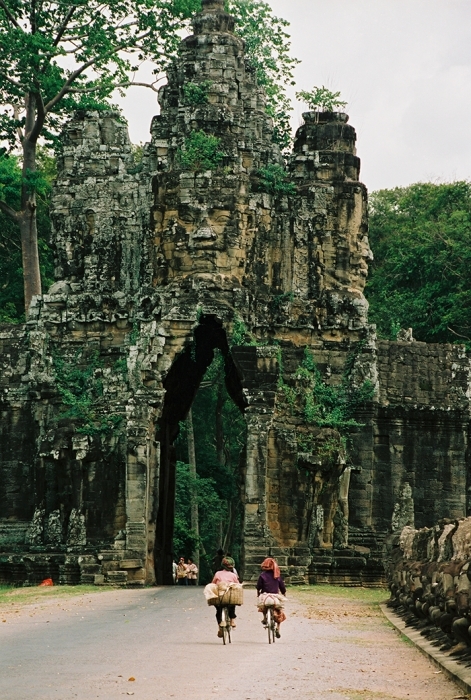 This is the famous image that appears on travel guides and book covers. 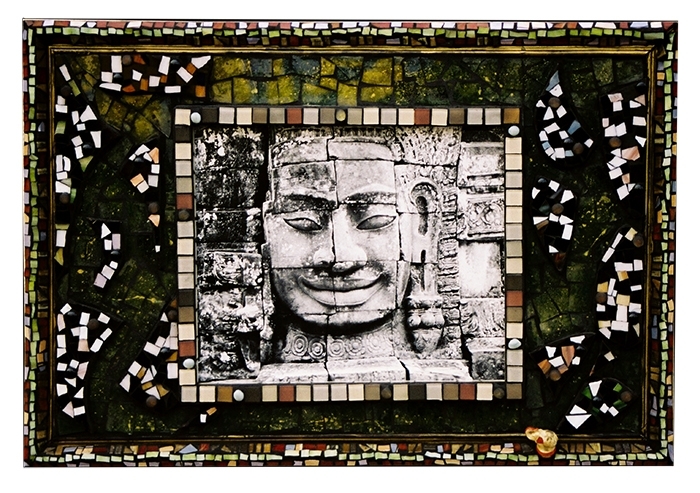 Photographed in black & white, I experimented with the frame to paint under glass tiles and added multi-layers that you must see in person to appreciate for a worn & weathered affect.